Tic Tac Trance #049 Replay available! Happy New Year 2012! 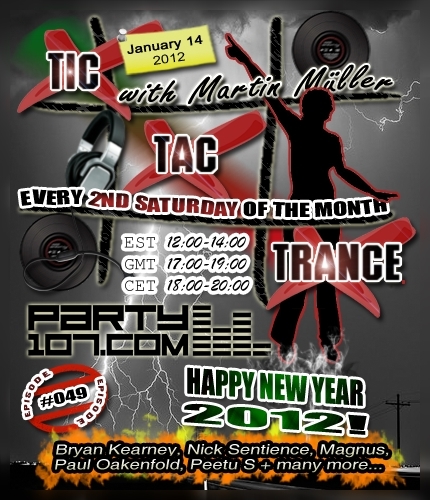 I hope you all had a good start into 2012 and that you’re ready for a new episode of Tic Tac Trance. Episode #049 will be broadcasted on January 14 2012 on Party107 and features new tunes of artists like Bryan Kearney, Nick Sentience, Magnus, Paul Oakenfold, Peetu S and many many more! 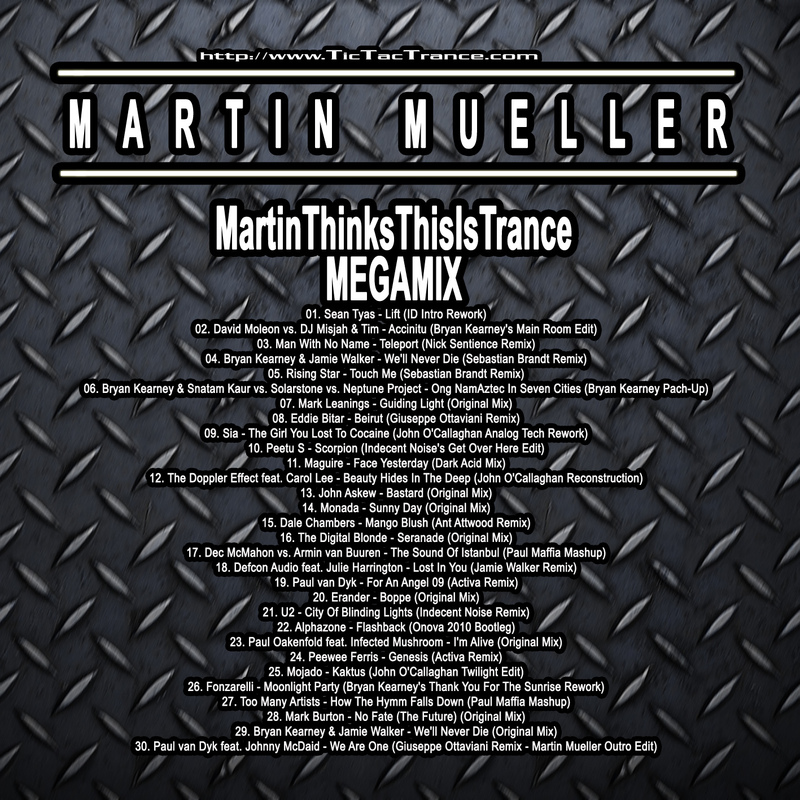 This time I’ve prepared a 2 hour mix with my latest favorites in progressive, uplifting and tech trance. Make sure to tune in! 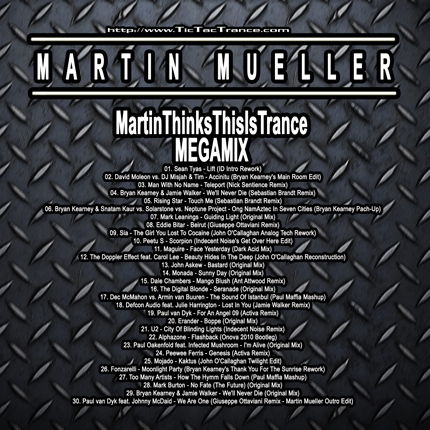 Inspired by Lazlow’s “The Trance 1.0 Thread ” (on www.unjunaforum.com) idea I decided to create a megamix, which includes 30 of my current favorite, and classic, tunes in a seamless, 80 minutes journey. 140 BPM straight from the beginning to the end. Enjoy! After some “complains” about the low audio quality limit of Mixcloud and wishes about having a CUE file, I decided to make the mix available for download. Enjoy!